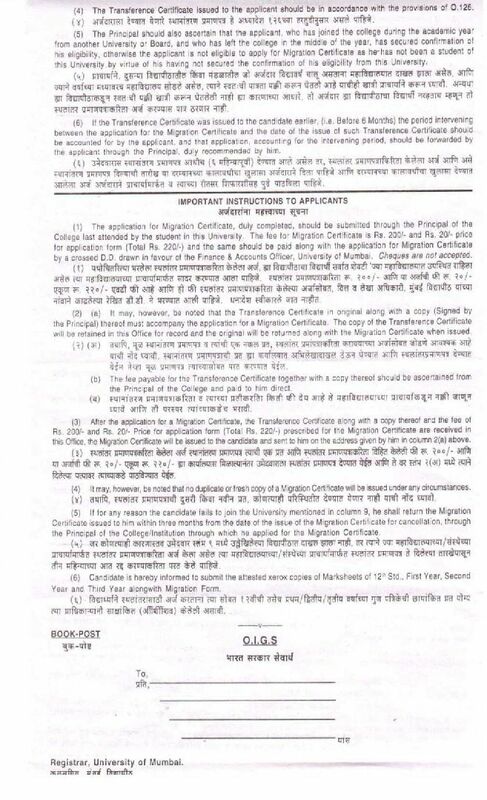 Sir I am student of Mumbai University but now some reason I going to leave this University I need so this University Migration Certificate so tell me can I get Migration Certificate online and tell me process of getting its online? 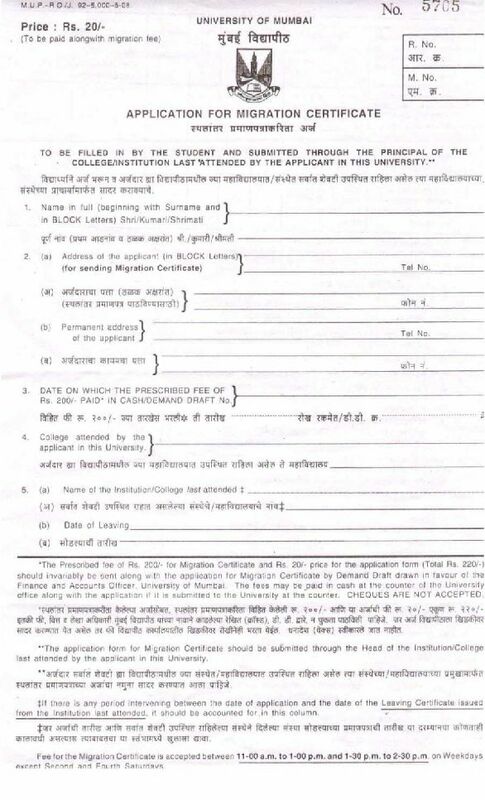 How to obtain migration certificate from Osmania University? Sir, I completed my graduation (B.Com) from Mumbai university in 1995. Now, I wants to do my post graduation. Now, I am leaving in Nasik. Can I get admission at Mumbai university. 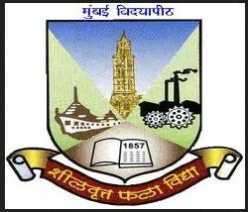 Inform the colleges in Nasik where I can admission or I have to apply as external student. 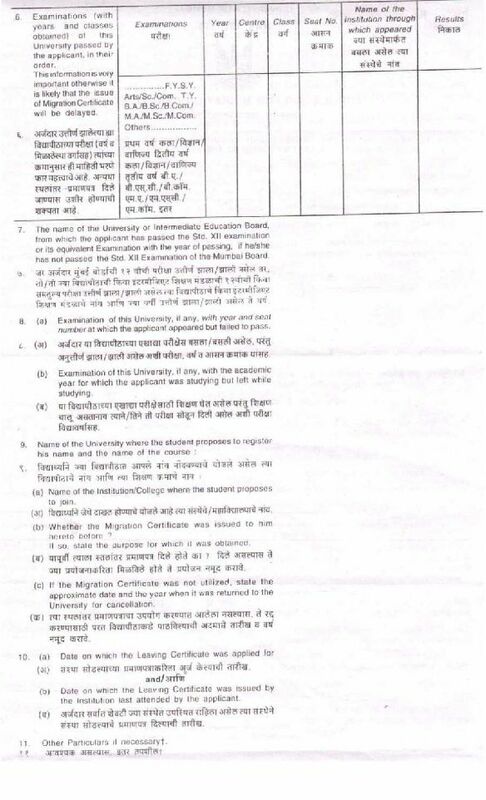 Can you please tell me from where I can get Migration Certificate form of Mumbai University???? 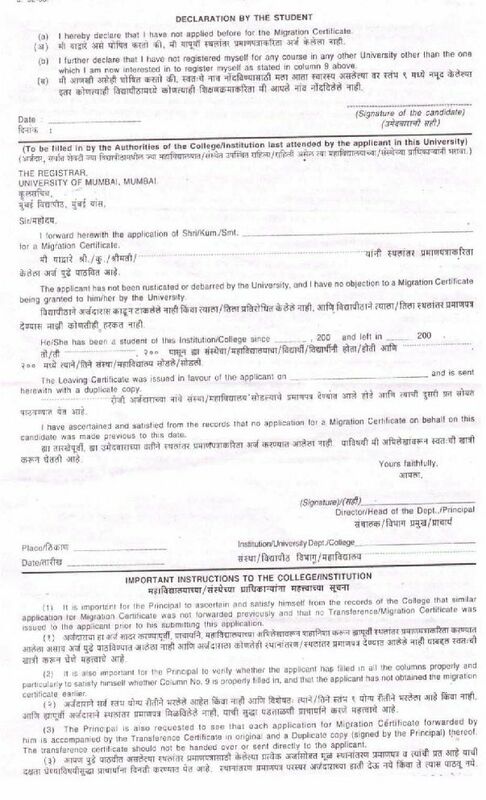 Sir I am student of Ratnagiri University but now some reason I going to leave this University I need so this University Migration Certificate so tell me can I get Migration Certificate online and tell me process of getting its online? I wish to apply for the M.Ed study in the Indira Gandhi Institute if Higher Education- Coimbatore- Tamil Nadu.Kindly provide me migration application form.